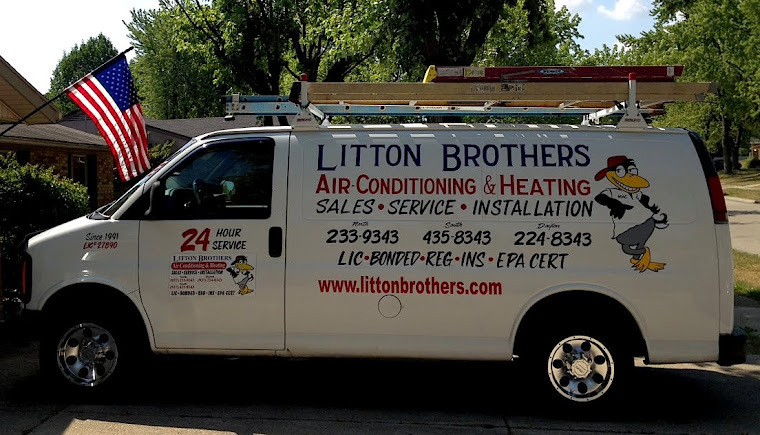 LITTON BROTHERS AIR CONDITIONING & HEATING DAYTON, CENTERVILLE, HUBER HEIGHTS, KETTERING: LITTON BROTHERS AIR CONDITIONING & HEATING IN DAYTON IS A TRIPLE THREAT! 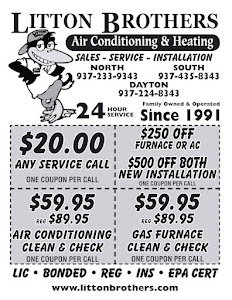 LITTON BROTHERS AIR CONDITIONING & HEATING IN DAYTON IS A TRIPLE THREAT! Litton Brothers Air Conditioning & Heating in Dayton is teaming up with Rheem to give customers unbelievable savings — like $1,500 off qualifying equipment, while supplies last. Combo those huge savings with your tax refund and your home will be transformed into the ultimate comfort zone. We're talking top quality expert service (A-plus with the BBB for past 23 years), the best products on the market (Rheem), at side-job Bob prices? You just can't beat Litton Brothers Air Conditioning & Heating in Dayton, because some may be strong in one ... but not in all! Litton Brothers is currently offering some other amazing deals, as well, like $500 off installation (when purchasing both furnace and AC units), $59.95 on all clean and check services (Reg. $89.95) and $20 on all service calls (24 hours a day, seven days a week).